Start at Plaça de Catalunya and stroll through La Rambla, one of the city’s liveliest streets for food and shopping. 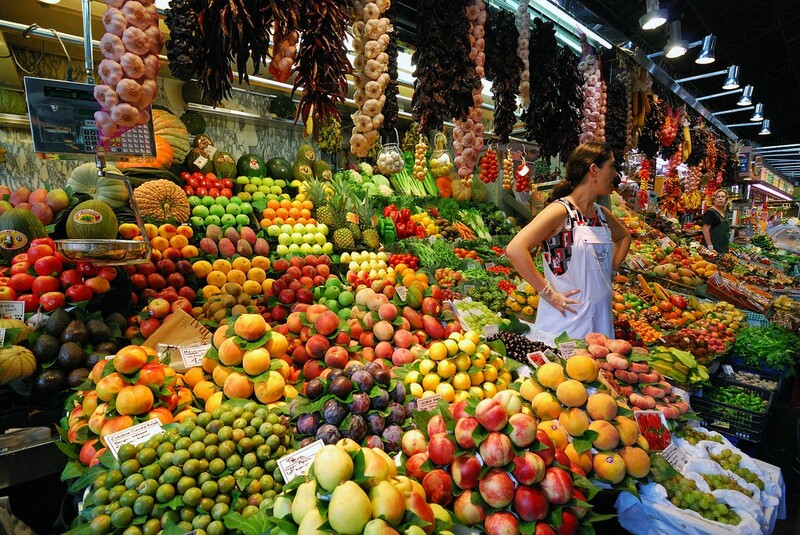 Enter the festive Mercat de la Boqueria and take in the colors and the crowds of the marketplace. Continue walking until you end at the majestic Columbus Monument. Mercat de la Boqueria. Photo taken by Giuseppe Finocchiaro. From La Rambla, hike back uphill to lose yourself in the streets of El Barri Gòtic, the Gothic quarter. The center of the old town still retains its maze-like infrastructure, with many narrow streets opening out into quaint squares. Be sure to visit the Barcelona Cathedral and the Royal Palace for a true taste of Spanish history. Continue to El Born, an artistic and bohemian neighborhood where you’ll discover beautiful tucked-away fashion stores. Have a glass of sweet Rioja at one the wine bars along the way. Stop by the impressive Basilica de Santa Maria del Mar and finish your walk with a savory tapas lunch at the Mercat de Santa Caterina. Take a cab to the unique and iconic La Pedrera building designed by Gaudí, and then enjoy panoramic views from its rooftop. Both the La Pedrera Museum and the rooftop are absolutely worth a visit (tickets available here), but the building can also be appreciated from the outside. Walk downhill along the elegant Passeig de Gràcia, the nerve center of the old Catalan bourgeoisie, for high-end shopping and luxurious dining. On your right you will see La Casa Batlló, another of Gaudí’s Modernist masterpieces, and the Chartboost Barcelona office! Continue to Rambla de Catalunya, another beautiful and fashion-minded street promenade that takes you uphill. Check out the statue of El Toro Assegut, the thinking bull. Is he perhaps pondering the future of the mobile industry? Don’t forget about these other highlights from the master architect! 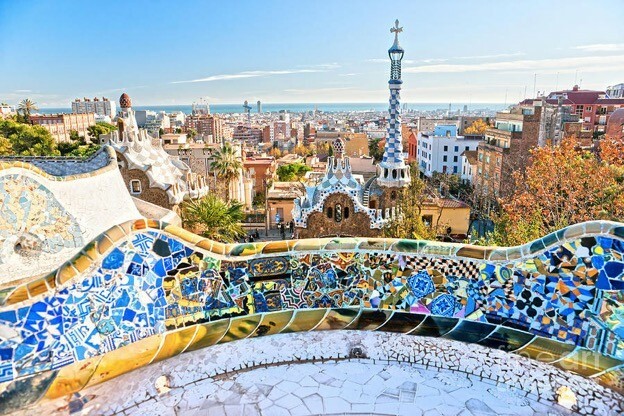 El Park Guell is a modernist park with breathtaking views of the city (you will need a ticket in advance). Sagrada Familia, an astounding and intricate temple, has been under construction for the past one hundred years (you will need a ticket in advance here as well). Park Guell. Photo taken by cocoandcashmere. Take a cab to Bunkers del Carmel. This is where locals, students and expats gather at sunset with picnics and guitars, but if you can wake up early enough, sunrise is even better. It’s from up here that you can enjoy the best view in the whole of Barcelona – a panoramic snapshot of the city that lets you pick out its most iconic landmarks, from the Sagrada Família to the Torre Agbar and the Montjuic hill, all framed by the deep blue of the Mediterranean sea. 8. Art, Fun and Games. Travel around Montjuic, the magical mountain above Barcelona’s harbor, and then swing back to MNAC, the largest art museum in the city. Also check out Las Arenas, a shopping center built inside a bullfighting plaza, and the Ciutat Olímpica, where most of the 1992 Olympics took place. Try an expertly-mixed gin and tonic at the Mirabé Skybar. Enjoy the city vistas at the Eclipse Bar on the rooftop of the W Hotel by the Barceloneta. Swing by the lobby of the Hotel Omm, where most MWC in Barcelona attendees have their last drink. 10. 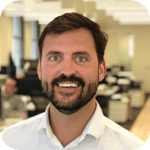 Meet the Chartboost Team! Barcelona House Warming Party: Come see our new office and mingle with the Barcelona team on Monday, February 25th, 7pm. Drinks, delicious food, and entertainment are on us. 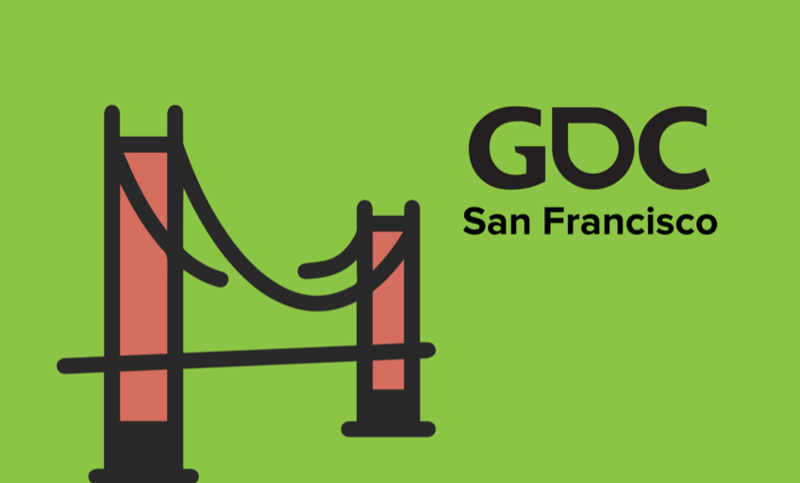 Request an invite here! 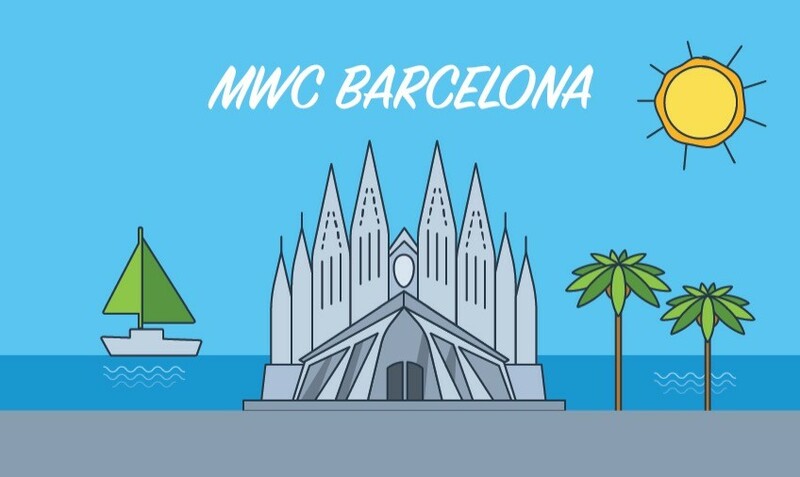 We hope to see you in MWC in Barcelona! P.S. To see a list of our favorite restaurants, bars and clubs, click here!